The Thunderdome: Just remodeled for Spring Break last year the large “club inside of a club” this multileveled space holds huge balconies, elevated catwalks, and a sound system, cryogenics (can drop room temperature 40 degrees in 30 seconds! ), LED’s, VIP seating with bottle service. This room alone can rival Vegas! The Rock Deck: This multileveled “concert-venue like room hosts some of America’s hottest touring bands. 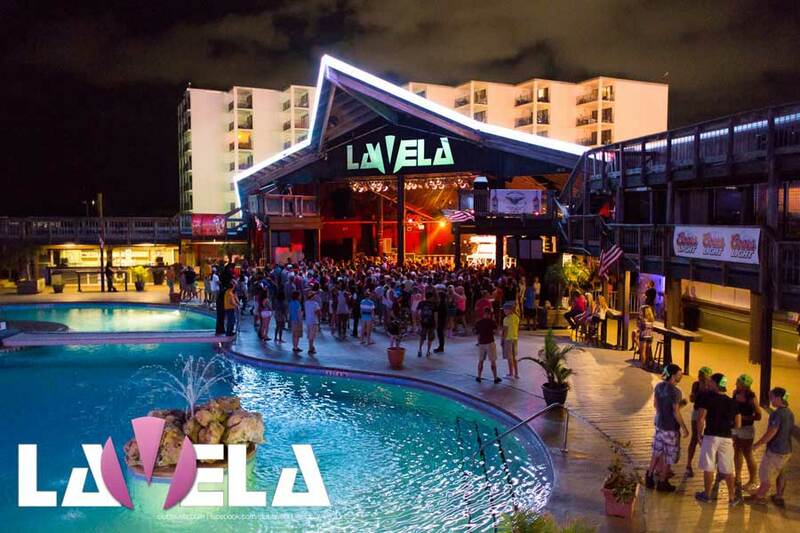 This your spot inside La Vela if you aren’t in to EDM or Top 40 hits. The Pool Deck: This is the PCB hot spot for daytime pool parties! The lagoon shaped pool overlooking the Gulf of Mexico opens at 10 am and the parties last in to the early morning hours. Take part in, or just watch, the famous Ms. La Vela Bikini Contest, Wet-N-Wild T-shirt contest and Male Hard Body contest to win cash and prizes. The energy is turned up a notch at night when the deck transforms in to an outside concert venue hosting famous celebrities. The Penthouse: Located in the Thunderdome the Penthouse features modern décor and posh seating overlooking the club. Want a little privacy? This is your place, take advantage of the bottle service and private dance floor. NightGallery and Underground: Located downstairs from the Thunderdome this rave-like atmosphere hosts cutting edge music spun by resident DJ, ScottyEG. Enjoy intelligent lighting and premium EAW sound. The PussyKat Lounge: Upon entering you will think you have been transported to Ibiza. Dress to impress to experience the most beautiful people in Panama City Beach. DJ Chad DeFranco, resident DJ, will be spinning Progressive/Electro House and Trance. The Darkroom: This contained two-story room is one of Club La Vela’s original techno party grounds. During spring break experience a mix of Hip-Hop and Urban beats while overlooking the energy on the dance floor. Two Buck Saloon: Now here’s a spot with Southern charm! Have a seat at the bar and enjoy sampling some of the premium Whiskey in the Jack Daniels VIP Lounge. Shoot some pool, watch a ball game or prop your feet up and relax while listening to DJ Frazzle mix rock and country music. Bonus: $2 drink specials 24/7/365! 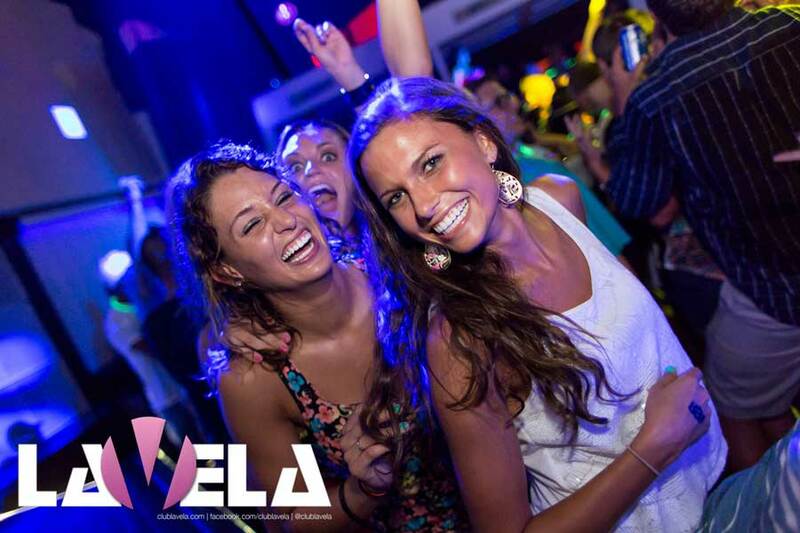 Now that you’ve mapped out your party spots in Club La Vela it’s time to get your Panama City Beach Party Package! The Panamaniac Card is your ticket to an awesome time in PCB, not to mention will save you a ton of money. Get free cover, 30+ hours of free beer and drinks, big discounts, and your choice of three amazing parties. Don’t forget to book your beachfront resort in Panama City Beach!